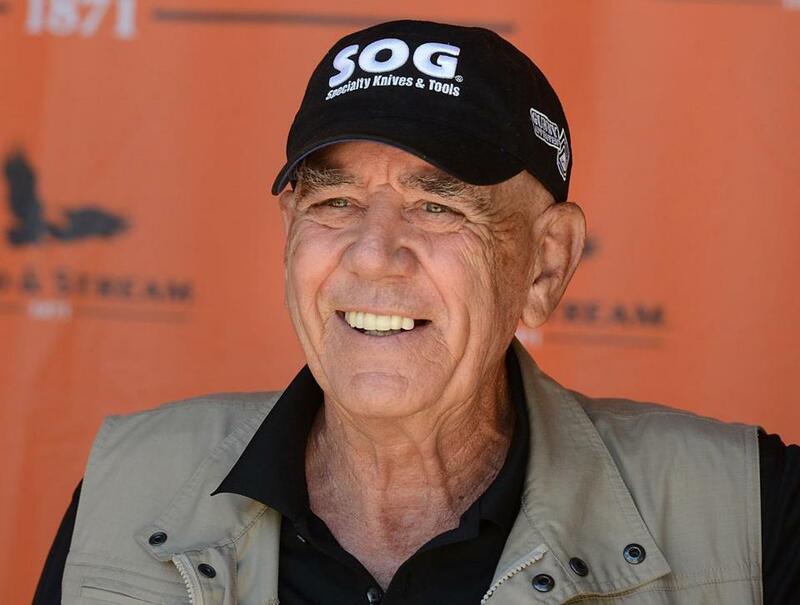 Actor and former Marine Corps drill instructor R. Lee Ermey in 2014. LOS ANGELES — R. Lee Ermey, a former Marine who made a career in Hollywood playing hard-nosed military men like Gunnery Sergeant Hartman in Stanley Kubrick’s ‘‘Full Metal Jacket,’’ has died. Born Ronald Lee Ermey in 1944, Ermey served 11 years in the Marine Corps and spent 14 months in Vietnam and then in Okinawa, Japan, where he became staff sergeant. His first film credit was as a helicopter pilot in Francis Ford Coppola’s ‘‘Apocalypse Now,’’ which was quickly followed by a part in ‘‘The Boys in Company C’’ as a drill instructor. He raked in more than 60 credits in film and television across his long career in the industry, often playing authority figures in everything from ‘‘Se7en’’ to ‘‘The Texas Chainsaw Massacre’’ remake. The part he would become most well-known for, in ‘‘Full Metal Jacket,’’ wasn’t even originally his. Ermey had been brought on as a technical consultant for the 1987 film, but he had his eyes on the role of the brutal gunnery sergeant and filmed his own audition tape of him yelling out insults while tennis balls flew at him. An impressed Kubrick gave him the role. ‘‘In the course of hiring the Marine recruits, we interviewed hundreds of guys. We lined them all up and did an improvisation of the first meeting with the drill instructor. They didn’t know what he was going to say, and we could see how they reacted. Lee came up with, I don’t know, 150 pages of insults,’’ Kubrick said. Ermey also hosted the History Channel series ‘‘Mail Call’’ and ‘‘Lock N’ Load with R. Lee Ermey’’ and was a board member for the National Rifle Association, as well as a spokesman for Glock.